AVG Ultimate is a one-stop collection of tools for cleaning, optimising and protecting all your PCs, Android devices and Macs. AVG Internet Security caters for all your PC needs. 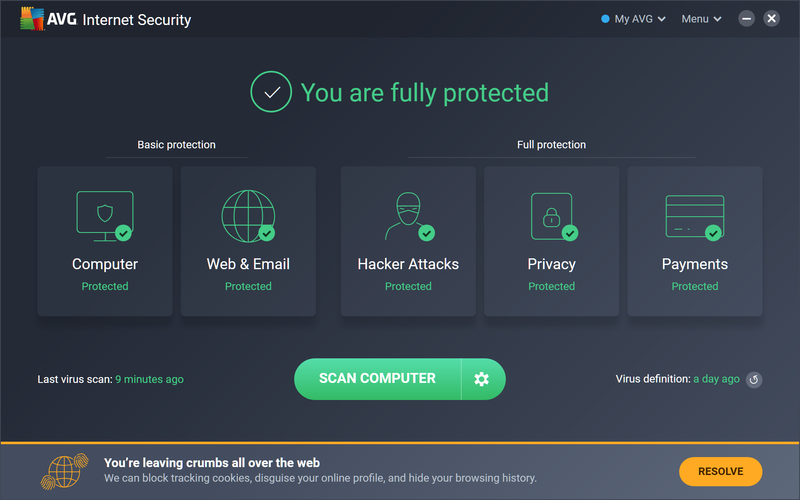 A powerful antivirus engine, combining both AVAST and AVG's input, detects and blocks even the latest malware, browsing protection prevents access to dangerous sites, while a firewall blocks network attacks. You also receive AVG PC Tuneup 2019, which is a complete system maintenance toolkit. This includes modules to give your system a boost, remove junk files, control your startup programs, clean and repair the Registry, extend battery life, update installed software and more, and just about everything can be left to manage your PC all on its own.